Neon is back in full effect this season. As a child of the 80's, I can still remember wearing my bike shorts with the pink and yellow neon stripes down the sides, coupled with my neon pink belt pouch. Talk about overkill! Thankfully, the neon trend is a bit more tasteful this time around. Pair neon colors with neutrals to add a pop of color without looking like an 80's throwback. 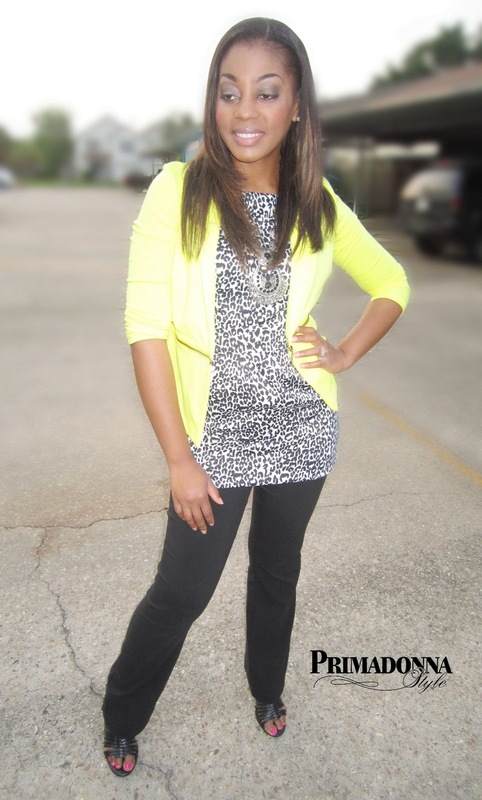 Add a neon pink pedicure for another pop of color! 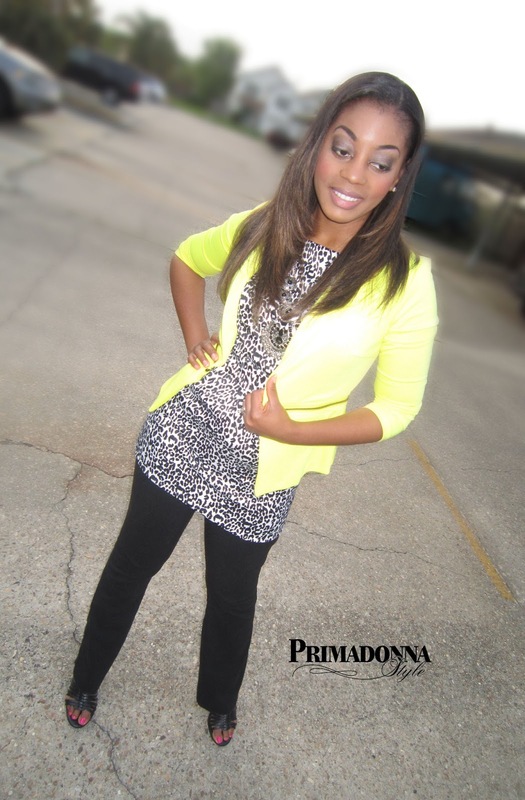 Primadonna Style Tip: Get tunic length tops to pair with your skinny pants and leggings by shopping in the junior dress section. This black and white leopard "top" is actually a juniors sheath dress that I hemmed. If you're not great with a needle and thread go the no-sew route by grabbing some hem tape and a hot iron.